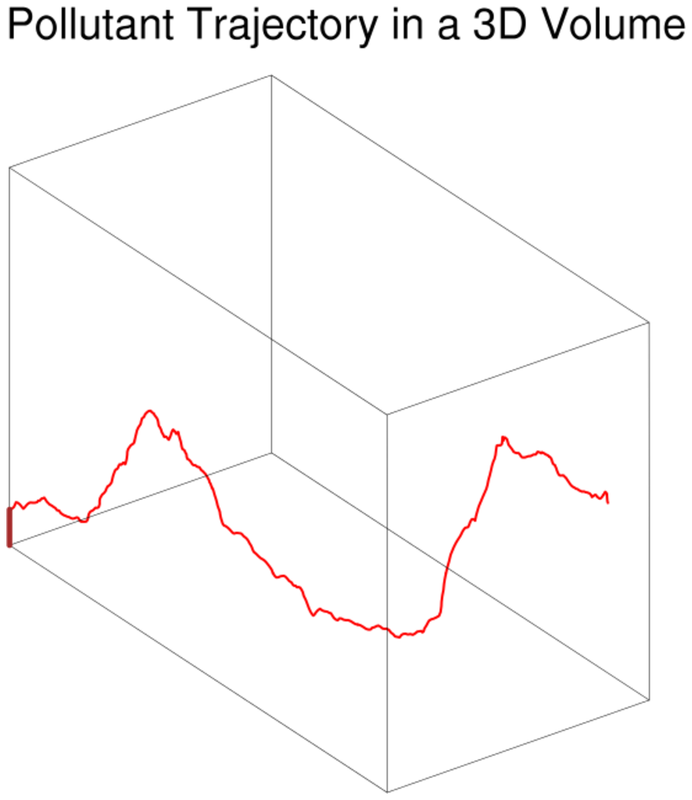 traj_1.ncl: A simple trajectory plot. Each trajectory is a different color for clarity, and every fourth time step is marked with a circle. 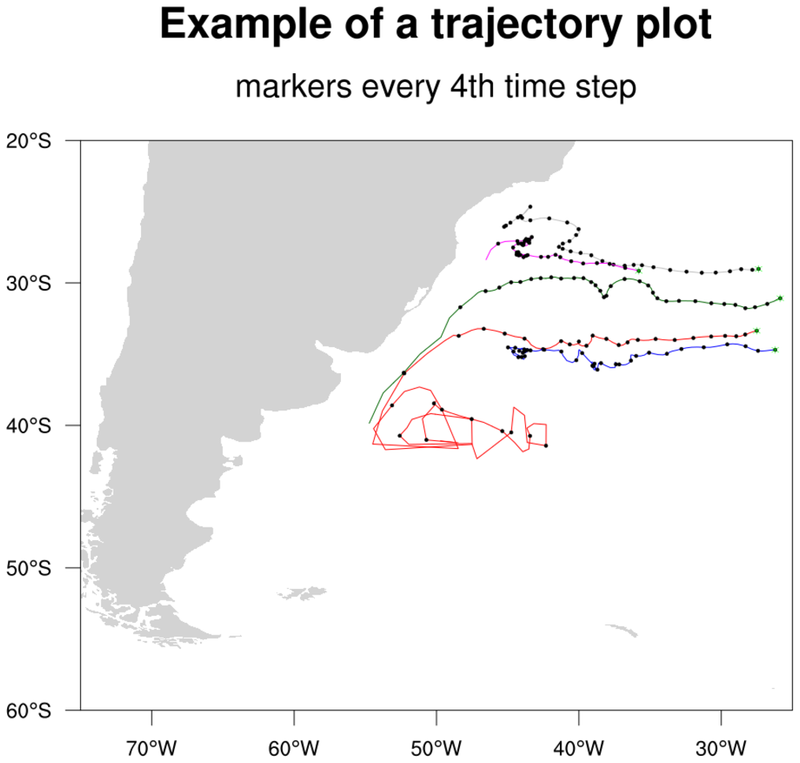 The start of each trajectory is marked with a green circle. traj_2.ncl: Each portion of the trajectory is now colored by a separate scalar field. RGBtoCmap will take an external RGB file and create a colormap out of it. GetFillColor will assign a color based upon an input scalar variable. This technique was developed by Chin-hoh Moeng of MMM. 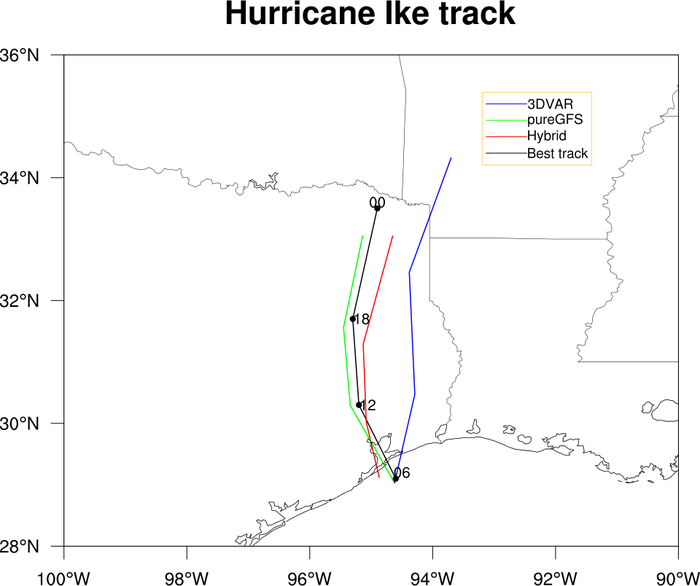 annotate_4.ncl: This example shows how to create a hurricane track and annotate it with a custom legend. The gsn_create_legend function is used to create the legend, and gsn_add_annotation attaches it to the map. 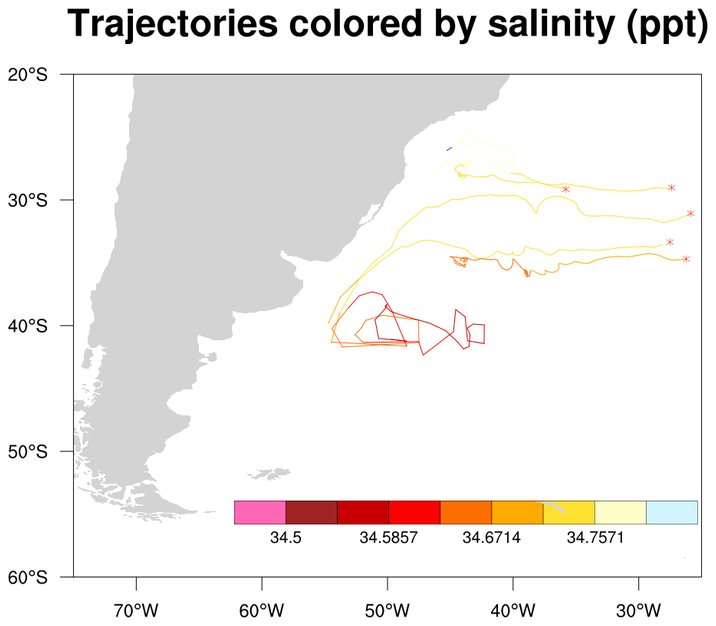 gsn_add_text, gsn_add_polyline, gsn_add_polymarker are used to draw the hurricane tracks. This script was contributed by Yongzuo Li from the University of Oklahoma. 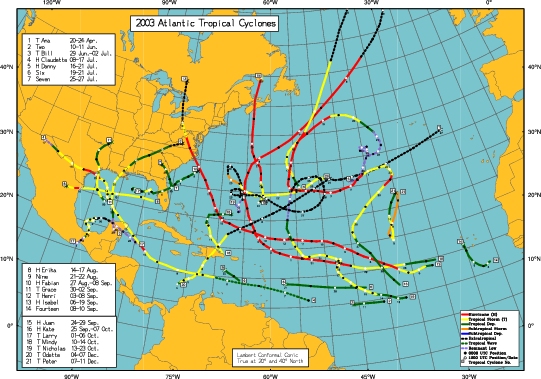 unique_1.ncl: A real world plot showing the best tracks for a given season storms, including all data (subtropical storms, depressions, extratropical lows, etc). This script was written by Dr. Jonathan Vigh.